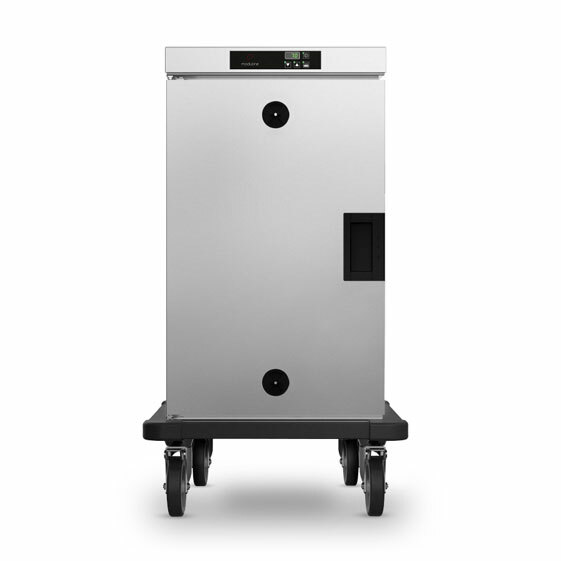 Slim line, mobile banquet cart. 8 x 1/1 GN internal size. 70 mm spacing between runners. Electronic control panel with digital temperature display. Single phase, 1kW, 10 AMPS.